Hyakunin Isshu is the Japanese traditional game that has been enjoyed by people from the past. It may seem to be difficult at first. But it would be easier to understand if you consider it as the playing cards. Still now, Hyakunin Isshu is enjoyed by children and some events of Hyakunin Isshu like a competition are sometimes held in Japan. Hyakunin Isshu requires good memory and reflexes. 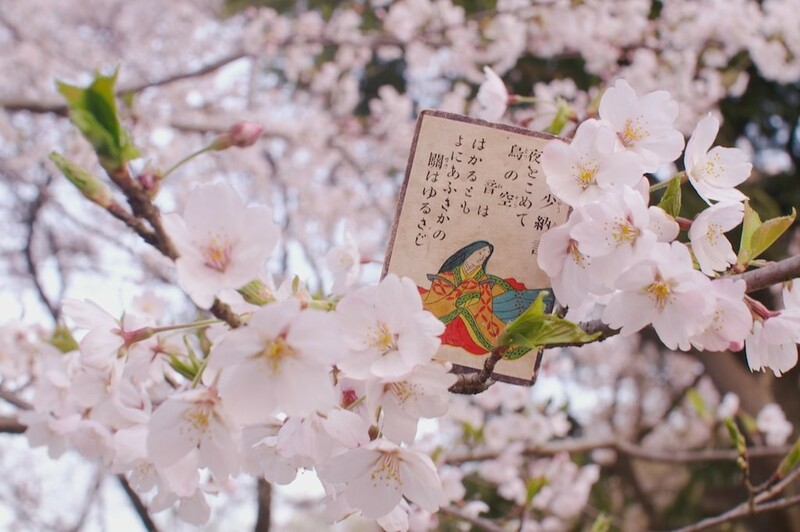 A person who has memorized the whole of Waka (Japanese classical poetry) written on the cards would enjoy an advantage. Also Hyakunin Isshu requires good reflexes as you should search for and get the answer card straight away after the reader has read the Waka written on the question card before other participants! Generally the one we call “Hyakunin Isshu” in Japan eqals to “Ogura Hyakunin Isshu”. Fujiwara No Sadaie who had been powerful from the Edo period to the Kamakura period selected superior Waka each one from one hundred people and wrote one by one on the colored paper in turn according to the time they were made. It is the origin of Ogura Hyakunin Isshu. You can enjoy the beautiful pictures of Hyakunin Isshu, too. and “Syokugosensyuu”. Poems about love count 43, 19 are miscellaneous belonging to no category and some are about each season. Also there are ones concerning travelling and farewells. Most of the poets are emperors, nobles, monks, and so forth. 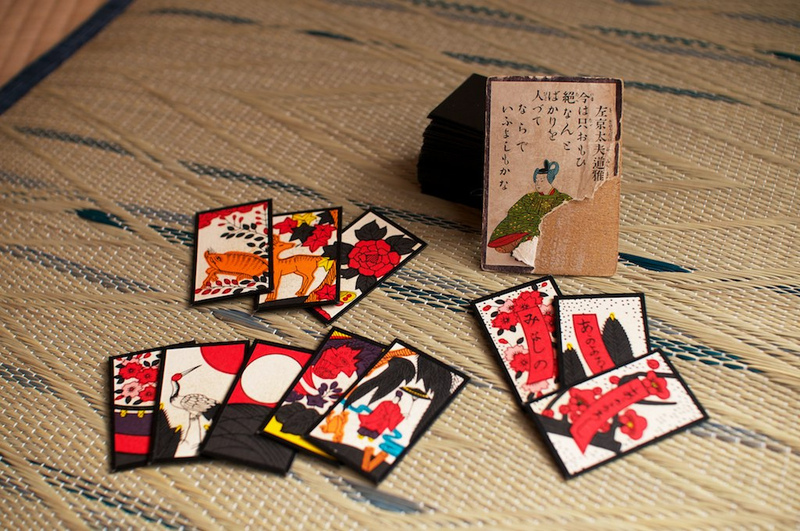 The specialty shop featuring the playing cards like Hyakunin Isshu, karuta, playing cards and so forth. There is a large comfortable exhibition space in the shop!